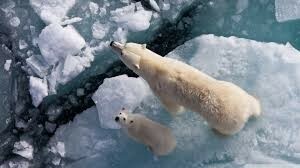 Over 60% of the worlds Polar Bears live in Canada. Polar bears are found in Russia, Alaska, Canada, Greenland and in Norway's Tundra and, icecap. These Bears are the second largest in the world. The larger the bear, the more slowly they loose heat. Their fur is a creamy color, not pure white, and they have black skin. Polar bears have a dense underfur and thick layer of fatty blubber to aid in insolation. 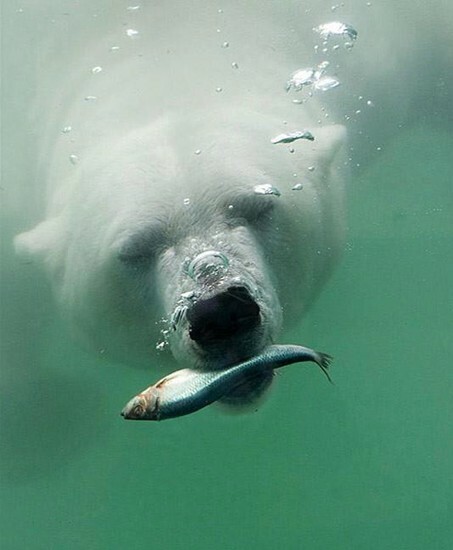 The polar bear would be considered the tundra's apex predator, or on the trophic level it would fall into the top level because it is regularly the tertiary carnivore or the top carnivore. Polar bears use sea ice as a hunting platform to catch seals and other marine mammal prey. 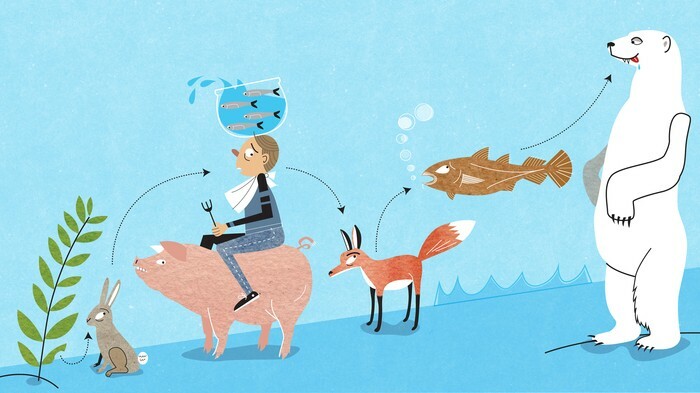 Without sea ice, they have difficulty meeting their dietary needs. Polar bears spend much of their time on the annual arctic sea ice. It provides a platform for them to hunt, live, breed, and in some cases create maternal dens. 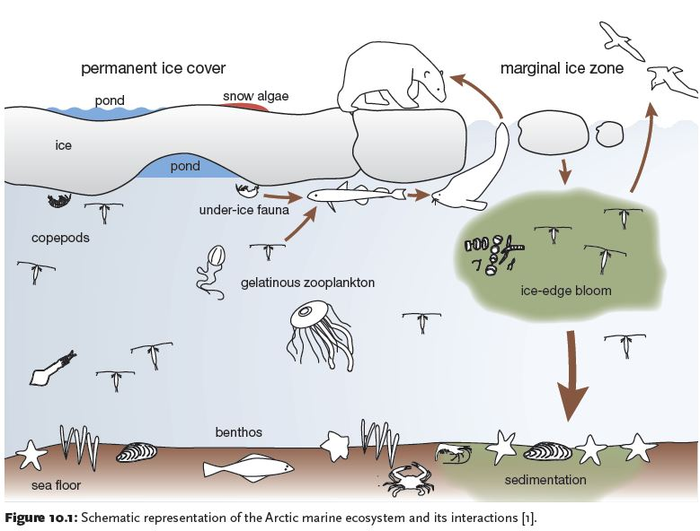 Sea ice is more than a simple platform, it is an entire ecosystem inhabited by plankton and micro-organisms, which support a rich food chain that nourishes seals, that in turn become prey for polar bears. 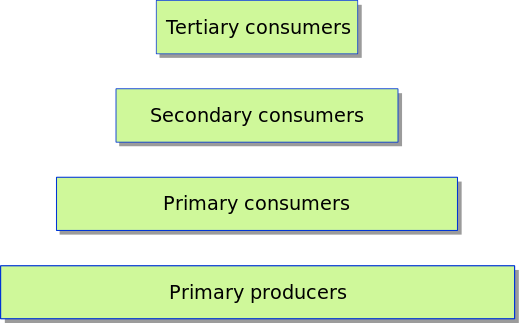 It is the very foundation and defining characteristic of the arctic marine ecosystem. 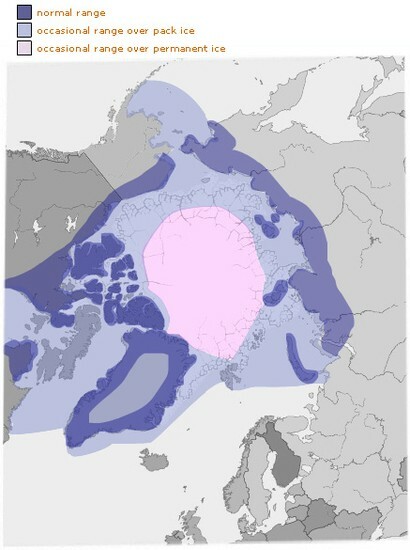 This is a map of where Polar Bears may range around a particular area.